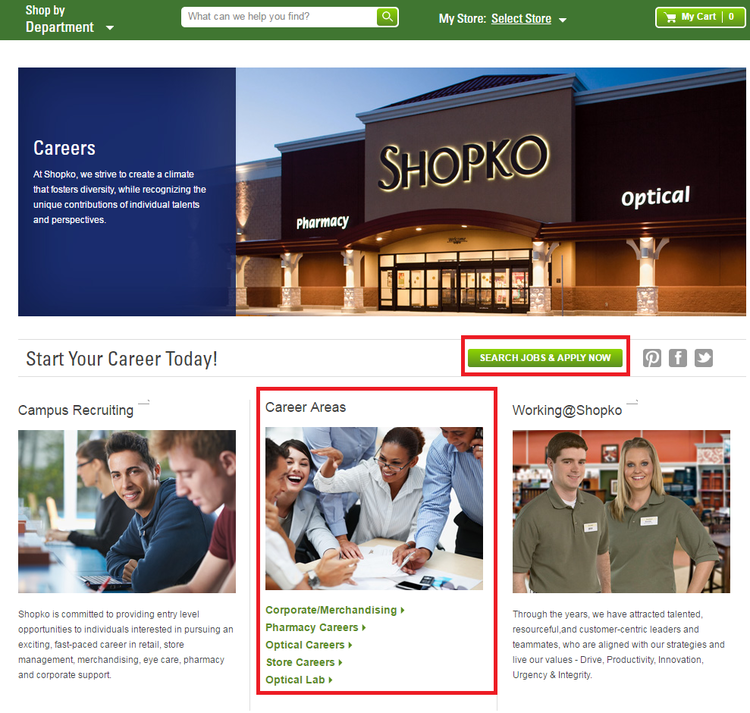 To seek a job at Shopko, you firstly need to pay a visit to the site shopko.com/careers to reach the careers page of Shopko. You can either choose to click the according button under the Career Areas or click directly the SEARCH JOBS&APPLY NOW button to go forward. This article will take the latter one as an example to show how to apply online step by step. You are given a store location page in this step. Choose one store location by entering the city and state or ZIP code. Then click the SELECT STORE button to continue. You need to sign up for a new account for further application. Here a valid E-mail address is necessary, and remember your password in case you will check your application status in the future. Don't worry if you forget the password, you can find it by answering the security question. This step is quite simple, you can search all the current job openings provided by Shopko by clicking the "Search Openings" button. After searching the job openings, you will be rendered a search results page where you can choose a position that matches your interests and qualifications. Then click the "Apply to job(s)" button to start your application. This step is the key part of the whole online application process in that there are so much important information to be provided. You have to provide the information or answer questions listed as follows: candidate profile, Shopko employment, previous Shopko employment, additional questions, employment history, education, position desired, source of the positon, EEO, conviction, consent to electric format, background check, free copy consent, authorized and consent, drug test questions and consent, e-signature and tax credits. You are required to upload a resume so that the interviewer can know more about you. Here are two methods for you to provide your resume. The first one is to choose a resume from your computer and upload directly. And the second one is to enter your resume or paste it in the box. You can choose either method according to your personal preference. With all the step above finished, the online application for your desired position at Shopko is totally completed. 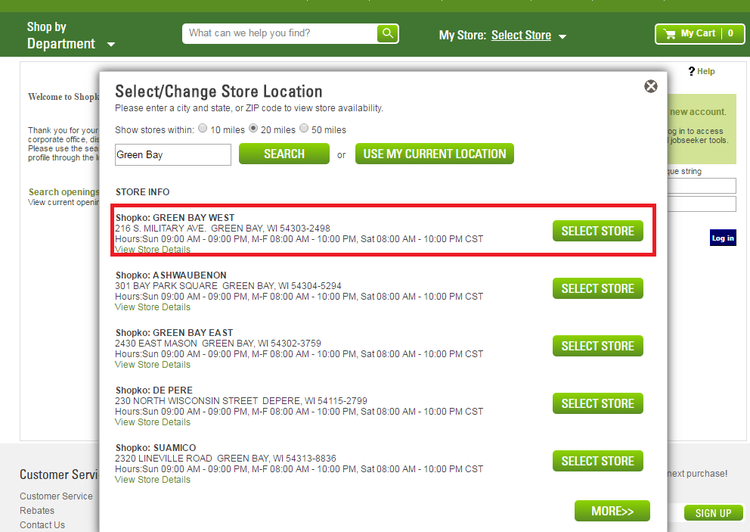 All you need to do next is to waiting for patiently the reply from Shopko. 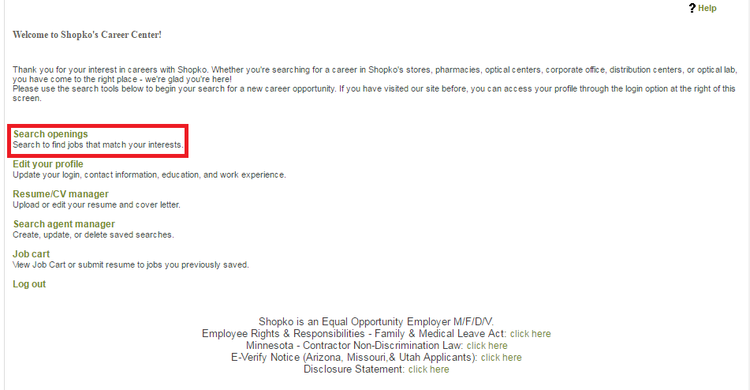 Click shopko.com/careers to apply for Shopko jobs online.